The Wine Academy is a difficult place to find. We walked past the wooden doors at Richmond and Bay a dozen times before a few phone calls put us in the right direction. On closer inspection, they were made from the staves of old wine barrels, a subtle clue (albeit the only one) as to what lay beyond. 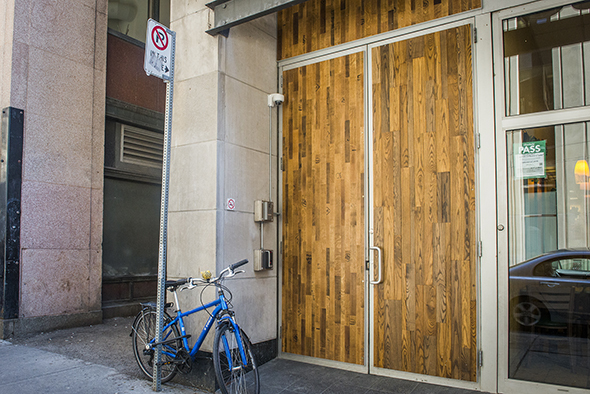 The brainchild of partners Michael Slattery and Emil Velev, The Wine Academy offers Toronto the hybrid functionality of being part member's club, part storage locker, and part tasting room. 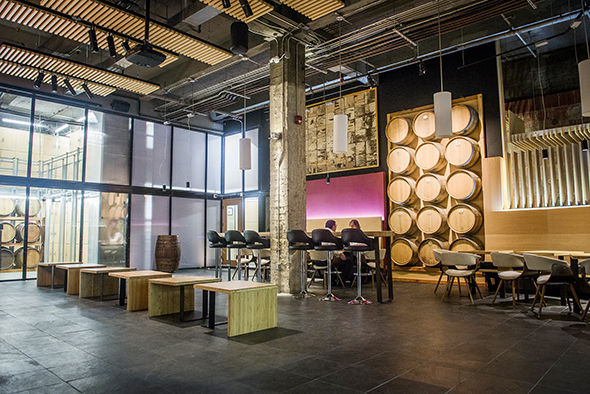 The rationale is simple: wine enthusiasm in Toronto is high, while available space is low. For those with an interest in building a solid wine collection, the pitfalls are huge: investments like these require protection, in terms of both security (try adding a few thousand bucks in wine onto your renter's insurance) and in providing conditions suitable for the appreciation of their value. Slattery and Velev's response to these needs has been to build a 6,000 square foot underground facility with 1,122 storage lockers, each capable of holding 92 bottles of wine. 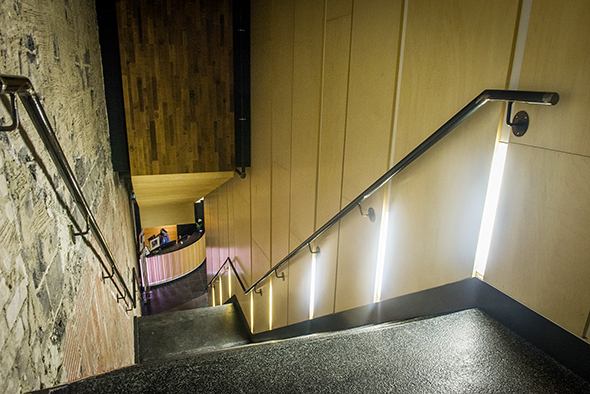 Using a state of the art HVAC system, the Wine Academy maintains a constant temperature of 12.5 degrees Celsius. 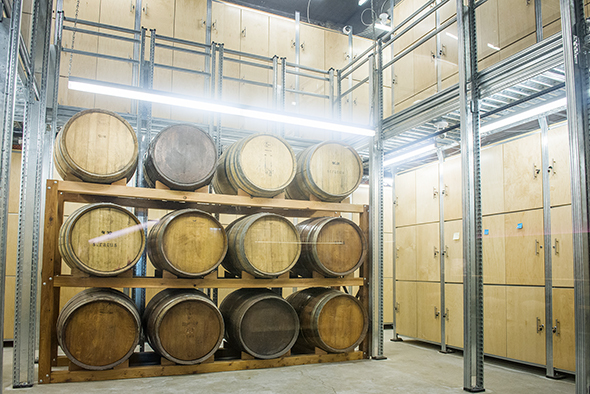 Lockers are available for $150 per month, while general membership (no lockers) runs a cool $1000 per year, granting access to the space as a place for events and tastings, while also acting as a great spot to escape the bustle of the city. The vast room, formerly home to a gym, flexes industrial muscle, coolly overlaid with classic touches from Cool Earth Architecture . 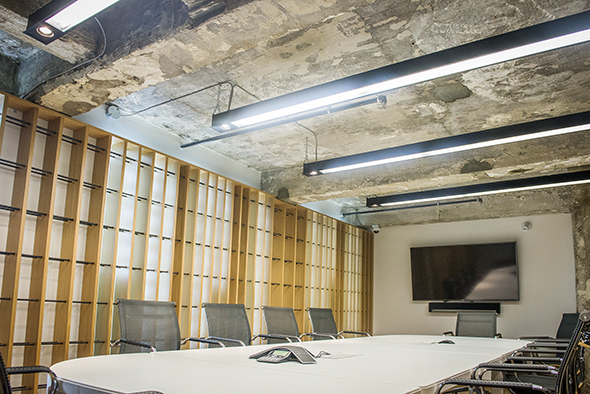 While there's a sizeable tasting bar and several tables for small groups, there's also a "board room" for private events and meetings. 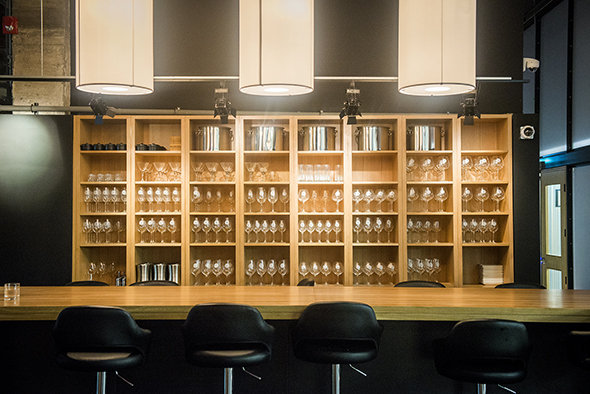 Offering a curated wine list by Sommelier Natalie Pope, guests need not rely on their stash every time they fancy a glass, and for those in need of a bite to accompany their bottle, food is provided via an expansive menu designed by chef de cuisine Roger Murchie. 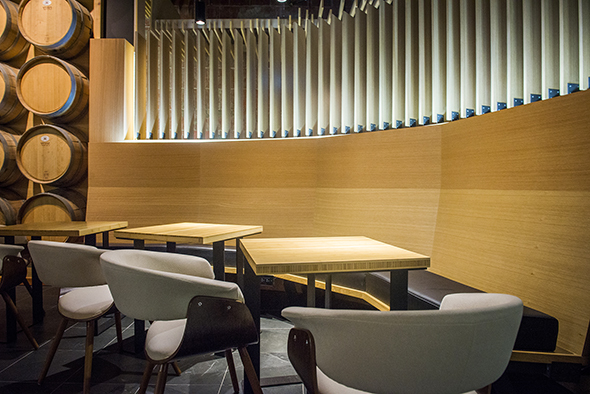 The dishes range from simple lunchtime fare to sophisticated small plates. 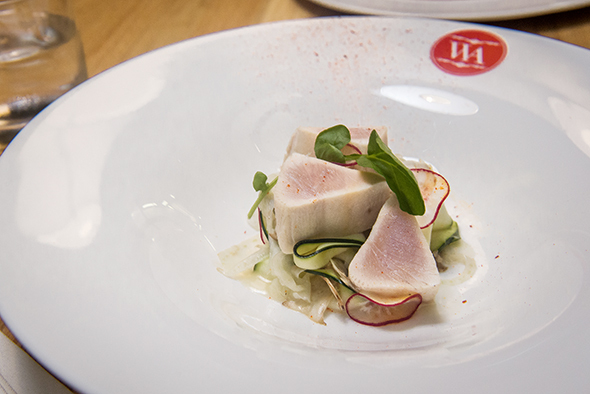 Confit albacore tuna ($18) is served with fennel, radish and a giardiniere of pickled vegetables. Rather than picking up a crust from being seared, the tuna is tender throughout from being poached in oil. 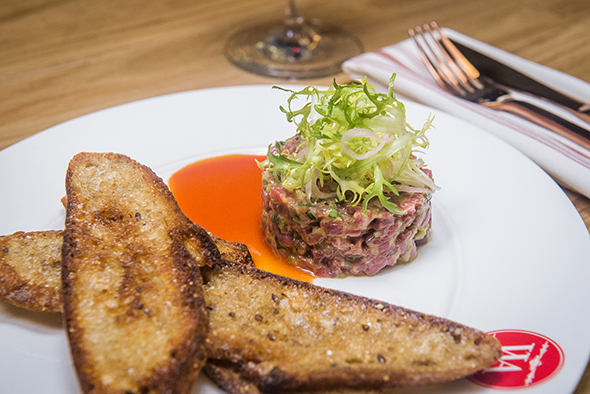 Steak Tartare ($22) is delicious, with pickled cornichon working its way into the mix. Served with crispy wholegrain toast, it's rich and unctuous, and would go nicely with a bottle of Cahors or Crozes Hermitage if you have one handy. Smoked trout ($16) comes with a mustard creme fraiche and fried artichoke, with a smear of salsa verde. This was our favourite of the three plates. 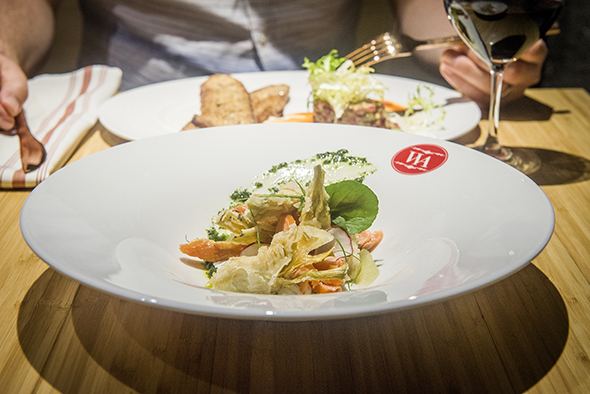 The cooking is remarkably accomplished here, and the idea that a group can go through a range of different wine styles without running short of pairing options is appealing. 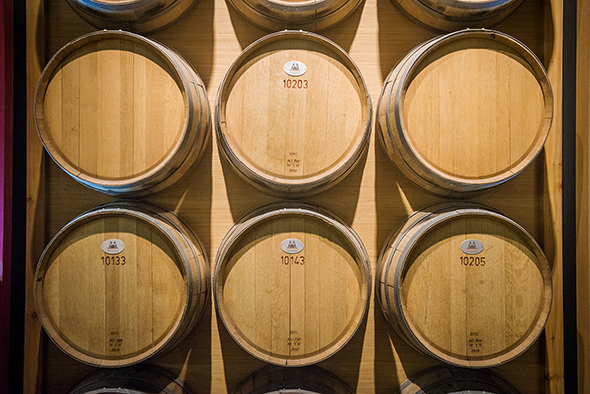 The Wine Academy isn't the kind of place you're going to drop in to try on a whim - membership is a commitment, and one that requires a very serious interest in wine (and the wallet to go with it). That said, it's a gorgeous space, and should you have an invitation to an event or tasting, it's definitely worth checking out.